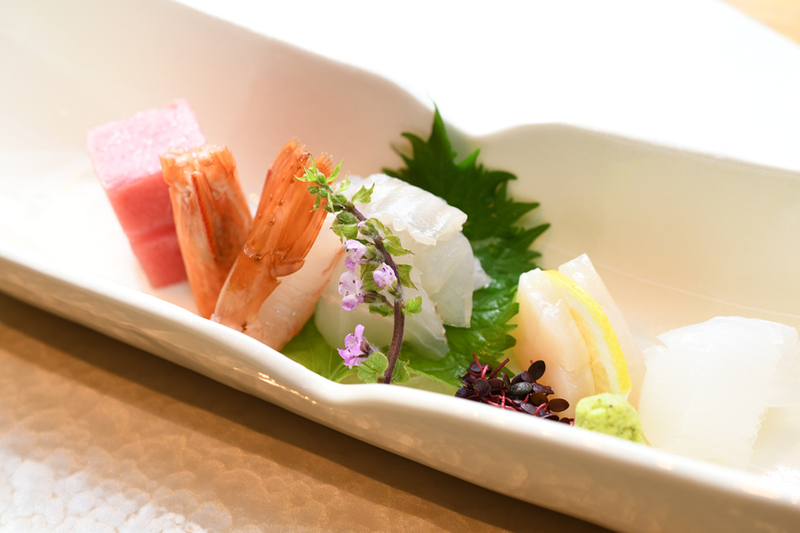 Focusing on ingredients from Manazuru, Sagami Bay and Hakone Izu, we select seasonal ingredients from all around Japan, the blessings of nature. 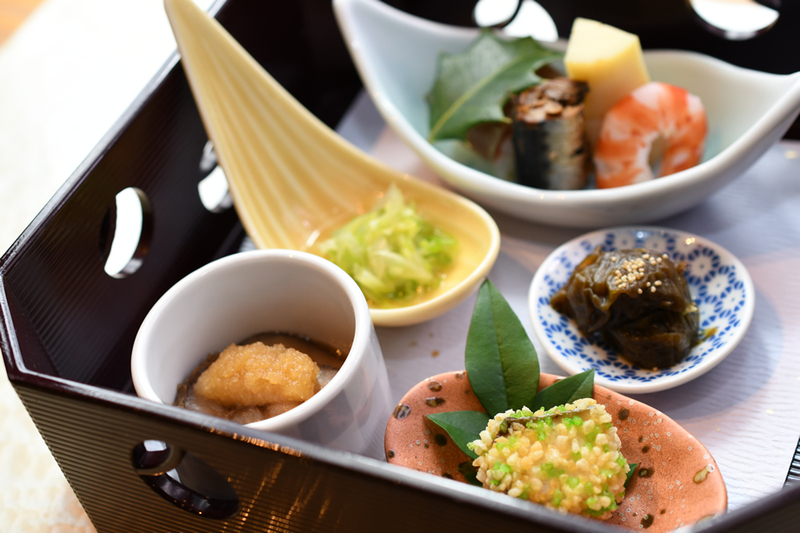 With sincerity and sparing effort and time our kitchen works to create the ultimate KAISEKI Cuisine. 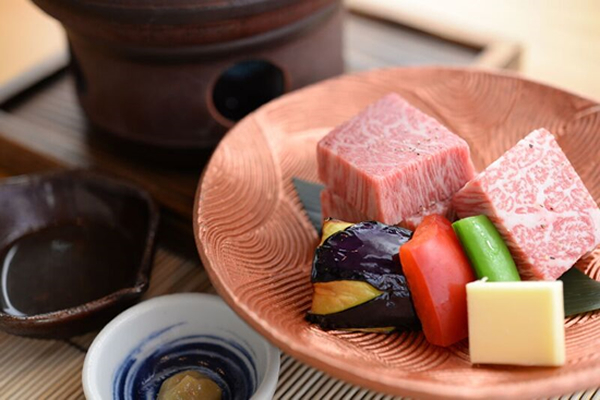 Customers with dietary restrictions such as vegetarians, religious, gluten-free, and allergies as well as small children will be accommodated to the extent possible, so please feel free to consult with us when making your reservation. 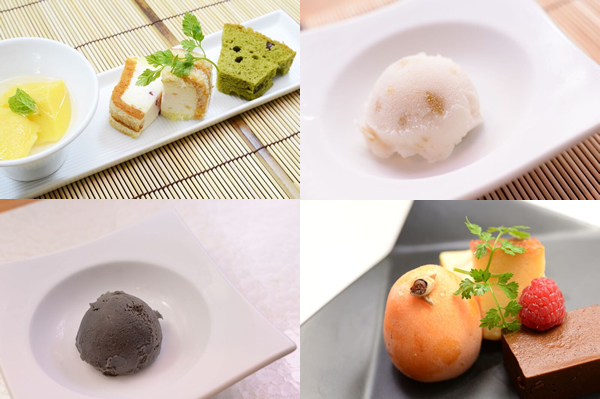 Japan is blessed with the changing of the 4 seasons, and depending on the season different ingredients will taste better. 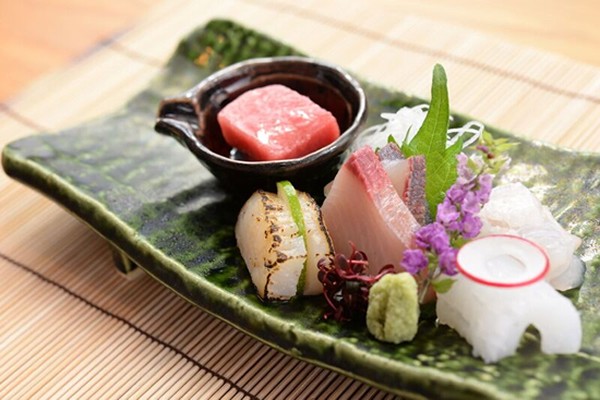 At Byakudan we never miss the chance to provide the best possible ingredients, changing our menu about 10 times a year. 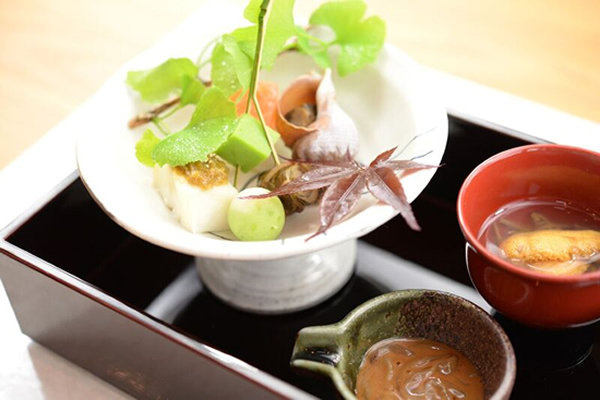 Byakudan's cuisine uses natural water drawn up from underground waterways which spread out under the bedrock of a thick 80 meter andesite at the outer rim of the Hakone crater under our premises. 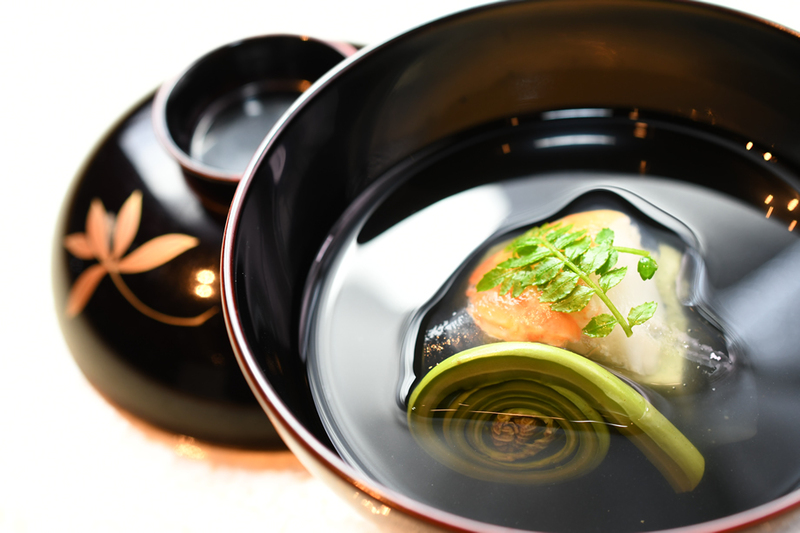 This natural water is soft in nature, drawing out the richness and sweetness of soups, as well as lacking any acidity, making it perfect and neutral for letting only the flavors of the ingredients shine through. We hope you will notice this among other things as you enjoy the flavor of our cuisine. 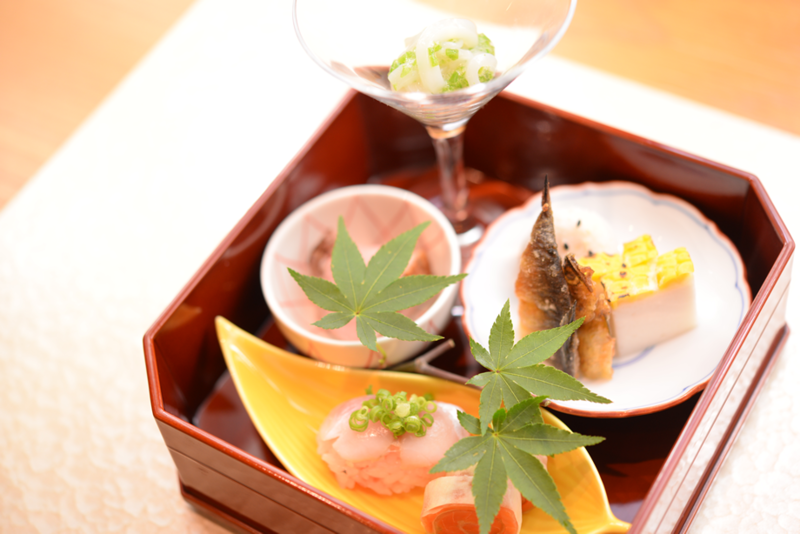 In addition to our KAISEKI Cuisine with its fine ingredients and dashi, we also offer carefully selected Japanese sake that is light with a clean finish to draw out the flavor of the ingredients themselves while also having its own depth, as well as clear wines without excessive flavors, which we hope you will enjoy along with your cuisine. 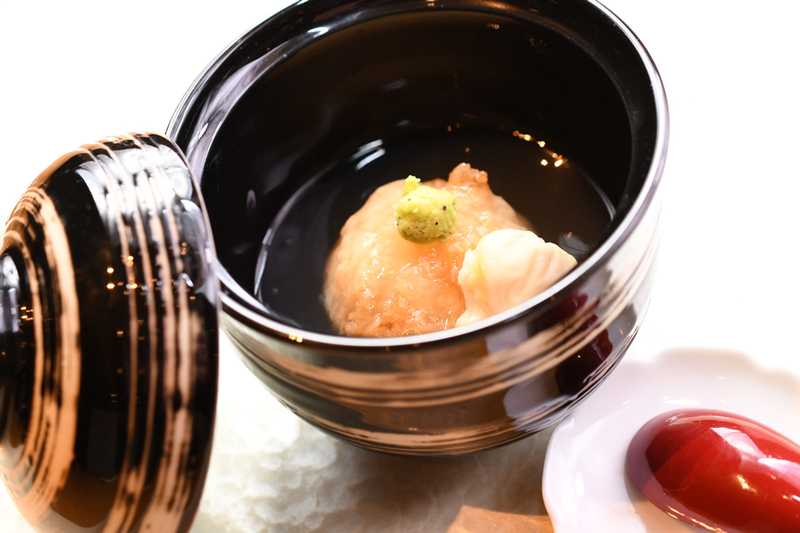 At Byakudan we also offer sweets and desserts to top off your dinner, such as hand-made gelato using Japanese ingredients and other ingenious creations to delight the eye and taste buds. 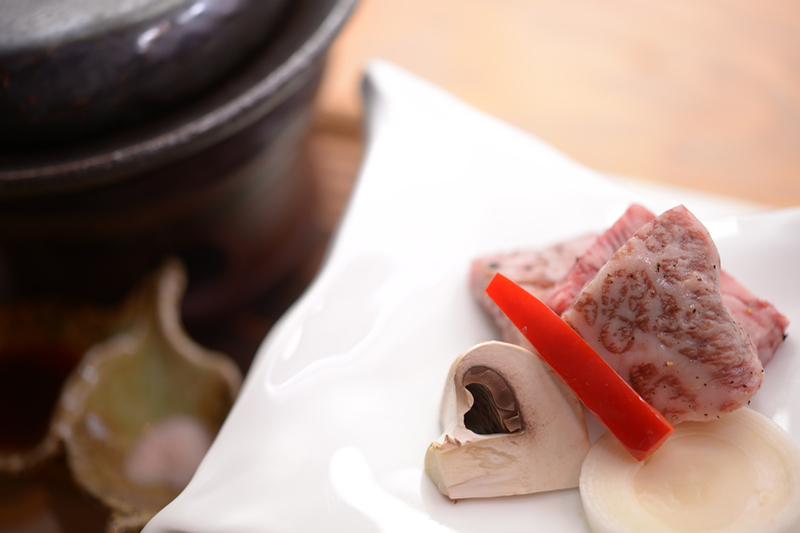 We continuously change our stock of ingredients to use the flavors that fit the season. 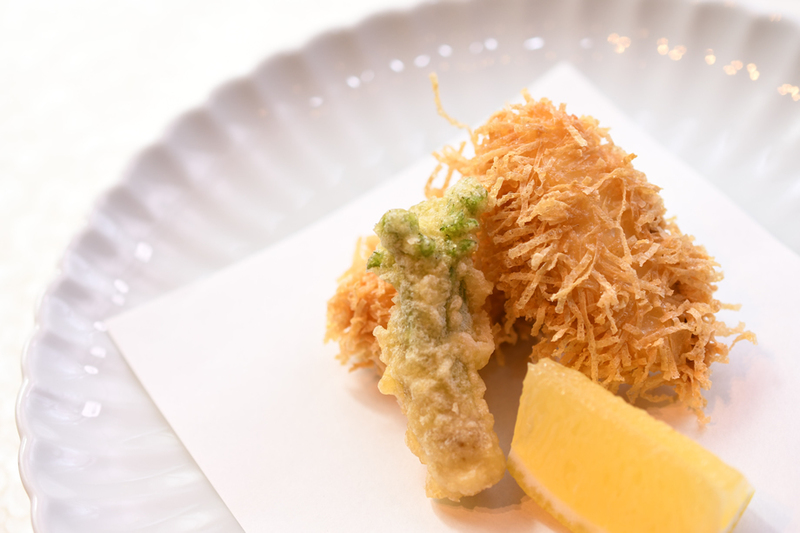 Allow us to introduce something from this month's menu. 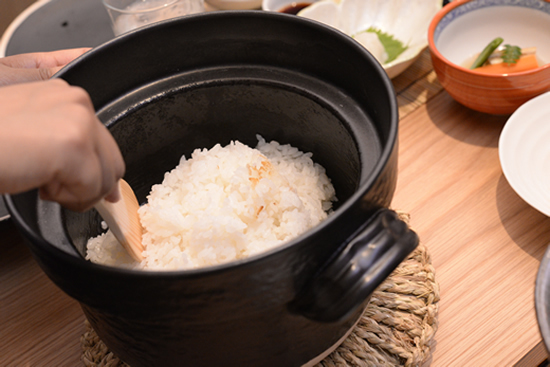 In order for you to enjoy your rice to the fullest, we prepare white rice cooked in earthenware pots in old Japanese style with the delicious aroma of scorched rice for each individual room. 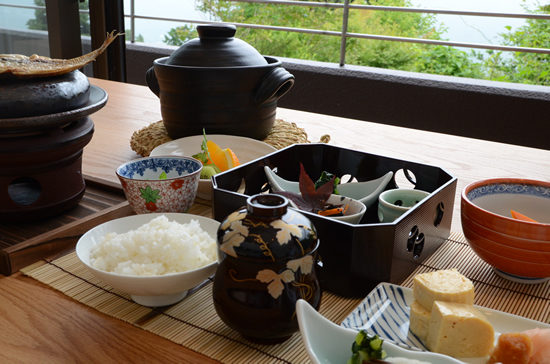 Seasonal side dishes suitable for breakfast in the fresh morning will also be provided for you to enjoy such as miso soup with in-season ingredients, dried foods which the kitchen makes with pride, hand-made pickles, fluffy rolled omelette made with dashi, and more.